Among astronauts in orbit, what is the worst real injury recorded? Has anyone hit himself on the thumb with a hammer or something? Squeezed a finger in a closing door? Gotten poisoned by some leaking experiment mystery box? I bet they haven't hurt their backs while lifting something heavy, or fell from high altitude or were run over in traffic. So, what makes our astronauts bleed the most? This question wants to ignore the lethal space flight events which were all related to launch or landing (or suborbital flight, including the Soyuz 18 launch abort in 1975 which gave one of the crew unspecified internal injuries). Instead it is about how humans have hurt themselves the worst while being in the orbital weightlessness of the ISS, Mir, Salyut, Shuttle and other crewed orbiting vehicles. While exercising on the Mir EO-18/NASA 1/Soyuz TM-21 mission, astronaut Norman E. Thagard suffered an eye injury. He was using an exercise device, doing deep knee bends, with elastic straps. One of the straps slipped off of his foot, flew up, and hit him in the eye. Later, even a small amount of light caused pain in his eye. He said using the eye was, "like looking at the world through gauze." An ophthalmologist at Mission Control-Moscow prescribed steroid drops and the eye healed. Is it true that no astronaut ever was injured in space? With injury defined as for example worse than what the majority of us all experience within six months or so from everyday life on Earth (like a sprained ankle). EDIT: I want to include illnesses here too. If any astronaut ever has gotten ill, instead of injured, by orbital spaceflight. Like having to spend two weeks nearly unconsciously in bed with high fever, like tens of millions of people do right now. Everyday Earthly stuff like that, has any astronaut ever suffered from something like that? The crew of Apollo 7 were all ill. The commander, Wally Schirra, developed a cold and the other two crew members suffered prolonged motion sickness. 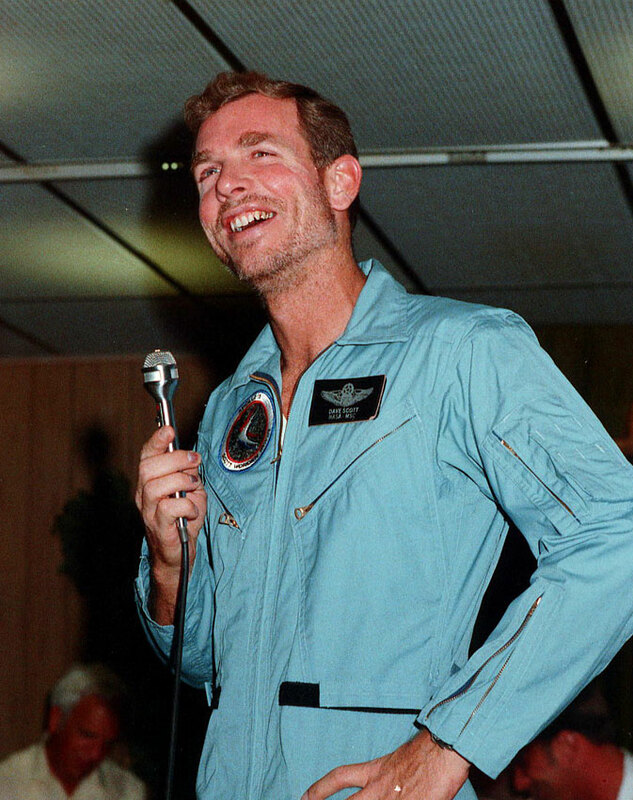 Due to the illnesses, the crew failed to perform their duties (such as perform the live television broadcast) and all were retired from spaceflight. Even today, it is not publicly known if they performed the landing with the helmets off as they had threatened to do, due to concerns of their ears popping. A number of cases where the gloves leaked in an EVA. (STS-37, Mir Space Station) The STS-37 was possibly the most serious, only the fact that the astronaut was also bleeding kept this from a much more serious issue, similar to how Mark Watney was saved in the initial moments of The Martian. Toxic gas exposure when there has been a leak of a variety of substances. (Mir fire, Apollo side of Apollo-Soyuz, STS-96. Urinary Tract Infections, the worst of which came from Apollo 13, where water was severely rationed. Prostate infection on Salyut-7, resulting in an early return from space. Fever of 104° F (40° C). There is some speculation this might have been psychological. Of course, the most serious incident in orbit was Soyuz 11, which occurred in the processing of reentering. When the service module disconnected, it left a vacuum exposed vent open, which lead to the death of all 3 cosmonauts. While I'm not sure it would qualify as a physical, bleeding injury, there was a near-death from drowning in space. Luca Parmitano, was an Italian NASA astronaut who nearly drowned during an EVA in July, 2013. It was so unexpected that NASA hadn't even planned emergency procedures for an incident like this. After all, what are the chances of drowning in space? His helmet had a water leak and filled up with water. By the time he got back to the airlock, he was hardly able to breathe or even see through the water. Some crewmembers have been incapacitated by Space Adaptation Syndrome (SAS) as they adapt to the free fall environment. The most publicized case of this was "Payload Specialist" Jake Garn who was so sick on his space junket that his name became the standard unit of spacesickness, where 1 garn = completely incapacitated. Less severe cases have caused mission timeline impacts such as the rescheduling of an EVA on STS-122. I think the worst injuries sustained have been the deaths of the crew of Soyuz 11. The crew capsule depressurized during preparations for reentry. A relatively large number of US astronauts who performed EVAs have injured their shoulders badly enough to require surgery. 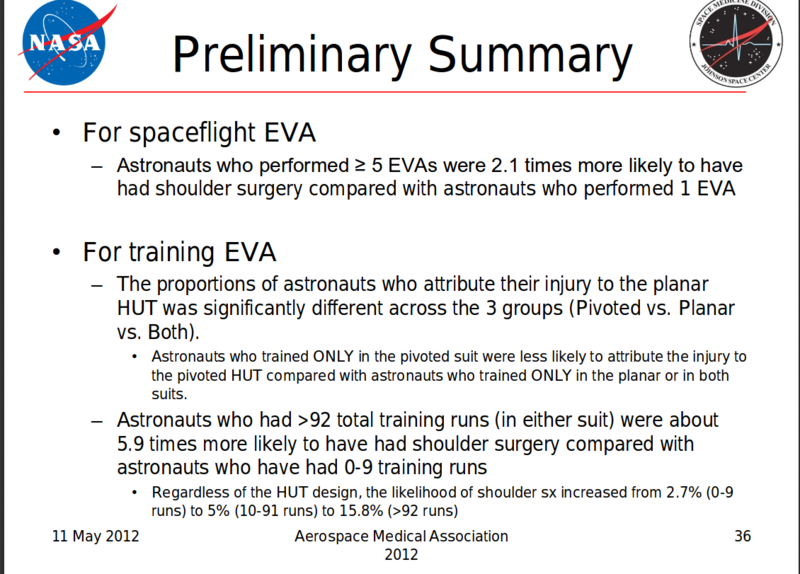 At the time this study was performed (2012) there was no definite conclusion as to whether the injuries resulted from orbital EVAs or training. It is well known that finger injuries sustained during EVA plagued a lot of astronauts. The Lunar Surface Journal for Apollo 15 has some good references to this at 126:08:40, with links to post-mission photographs of Dave Scott clearly showing the damage to this fingernails and giving a good indication of the extent of the blood blisters that formed. In fact, post-mission reports for 15 indicate that it wasn't just fingernails. Gene Cernan even complained of blisters between his thumb and forefingers and reported that his knuckles were rubbed raw and bloody against the inside of his suit. The astronauts powered through and kept working, but in long-duration missions this type of injury would surely have to be dealt with. It was largely unforeseen in earlier mission but had the Apollo missions been of a longer duration this would surely have impacted the duration and amount of EVA's performed. Not the answer you're looking for? Browse other questions tagged crewed-spaceflight history astronauts health risk-management or ask your own question. What is the most heated exoatmospheric conflict to-date? Do the majority of astronauts experience space sickness while adapting to micro-gravitational conditions?